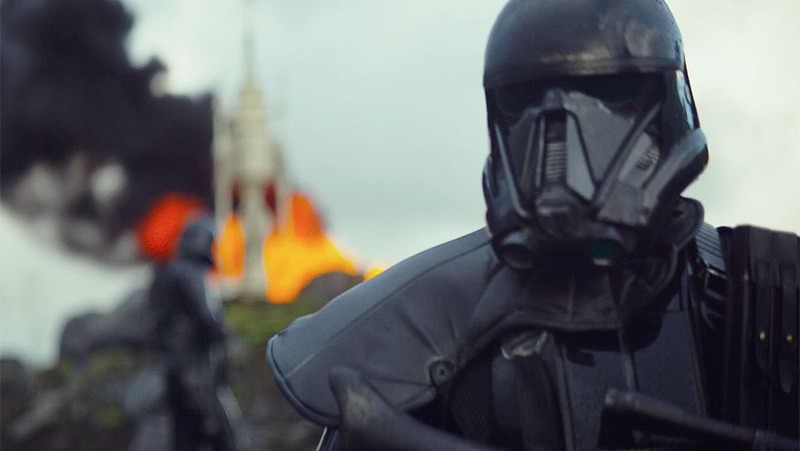 The Rogue One: A Star Wars Story teaser trailer is up, and now it’s time to analyze the hell out of it before the next one drops. First of all, it was a well done teaser trailer, and definitely has the masses excited despite the story line pretty much being somewhat bland with the squad stealing the Death Star plans. Well, that just gives more opportunities for character development, and action scenes! What we know right off the bat is that the look of the film is very faithful to the original Star Wars trilogy. We are introduced to the main character, Jyn Erso, played by Felicity Jones, and get a bit of her rap sheet: forgery of Imperial documents, possession of stolen property, aggravated assault, resisting arrest, and so on. She’s shackled up in the Rebel base on Yavin 4, which looks to be perfectly recreated with tons of detail. Notice the walking trash can droid, the X-Wing, the astromech droid, and a GMK power droid. 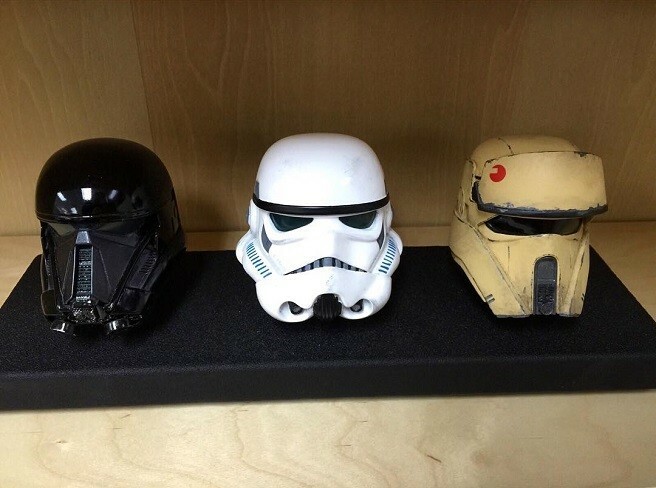 Attention to detail Gareth Edwards has! Now, Jyn looks to be in trouble with the Rebel Alliance, but for reasons that are unknown, so it feels like leading a squad to steal the Death Star plans might be something she does to clear her name. Perhaps somewhere along the way she becomes an authentic member of the Rebel Alliance, as she finds her purpose in life through this mission. Anyway, it has an Ocean’s 11 feel to it, and that could be a good thing. She seems to be very skilled with a blaster, as well as hand-to-hand combat. Random thought: could she be Rey’s mother? Maybe not. Diego Luna’s character is still unnamed, but in one shot he seems to have a Poe/ Han Solo bravado about him. We also see Stormtroopers in black gear, which might mean they’re some kind of elite squad. Then there’s Forest Whitaker walking with a limp and some heavier armor on, and it seems that he may be a bounty hunter. Speaking of bounty hunters, Boba Fett is rumored to make an appearance, but nothing jumps out in this trailer to feed our hopes (unless I missed it). There’s also a shot of a hooded figure that seems to be kneeling in front of a pilar or chamber of some sort. In the same scene, there are two royal guards, so who could that be? It might be Darth Vader, but he doesn’t wear a hood, or maybe it’s Emperor Palpatine. Another intriguing shot comes from Jyn sporting a TIE pilot’s flight-suit, which gives it even more of an Ocean’s 11 vibe. It’s very likely that she’s going undercover to steal the Death Star plans in that suit.